At James Monroe’s Highland we offer a range of experiences for the public, from individual and group tours through educational programs and cultural events. We work to engage diverse audiences about the life and legacy of President James Monroe, especially about his influence on global affairs, highlighting its relevance to the world today. Sara Bon-Harper has been Executive Director at James Monroe’s Highland since September 2012. 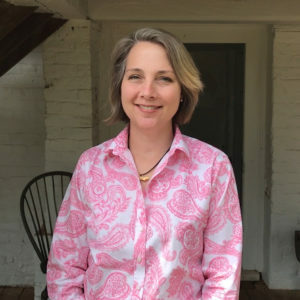 The research she has directed in that time has transformed the interpretation of the property, and contributes to a new understanding of James Monroe. 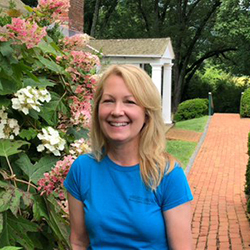 Ms. Bon-Harper previously served as Archaeological Research Manager at Monticello, and has conducted archaeological research and trained students in Europe and North America. She has lectured and written on a variety of themes, including the analysis of archaeological data, landscapes of slavery, and the construction of historic narratives. She serves on the State Review Board for the Virginia Department of Historic Resources, and on the board of the Presidential Precinct, and is also a Research Professor of Anthropology at William & Mary. Ms. Bon-Harper earned a Ph.D. in Anthropology at the University of North Carolina at Chapel Hill and a B.A. in Anthropology and Classics from the University of Arizona. 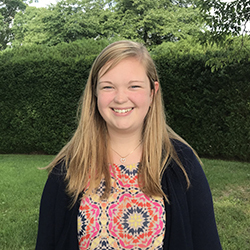 Nancy Stetz is the Education Programs Manager at Highland and manages historical interpretation, educational programming, and group tours. She has a B.S. in Middle Grades Education and an M.A. in Public History, both from Appalachian State University. She is passionate about bringing Highland to life for visitors of all ages and backgrounds. As the Business and Operations Manager at Highland, Nancy Stahon is responsible for finance and facility management. She earned a B.S. in Business Administration from the University of Maryland. Nancy enjoys supporting the Highland staff in their efforts to interpret the property, the Monroe family, and the enslaved and hired workers who called Highland home. Jason Woodle is the Marketing & Events Manager at Highland where he manages print and digital promotions, media relations, and public events. He studied at the University of Virginia, earning a B.I.S in Humanities. 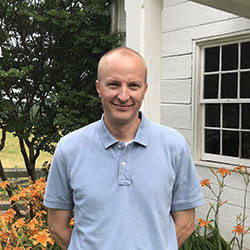 He enjoys connecting guests to the rich history of Highland through public events, including the Albemarle County Fair, Tuesday Tunes sunset concert series, July 4th celebration, and Veterans Day commemoration. 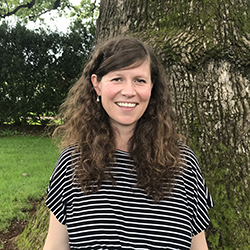 Courtney Bryce oversees the Museum Shop at Highland, creating partnerships and coordinating with local Virginia artisans, organizing and purchasing inventory to support our mission, and working closely with part-time staff to create an engaging and positive visitor experience for all guests. Courtney Bryce graduated from James Madison University with a B.A. in History with minors in both Anthropology and Medieval and Renaissance Studies. For all employees please contact us at 434-293-8000 or info@highland.org.